22 FAMILIES comprising 45 adults, 13 minors and three babies were relocated, early on Monday, December 3, from the community of Plaza Valencia (Panamá Norte) following waist-high flooding on Sunday afternoon following a short-lived torrential downpour. Stoves fridges and washing machines were ruined as over 50 homes were inundated. 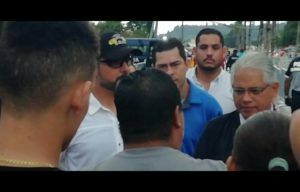 Mayor, Jose Blandon who is running for president has been the target of local complaints as the area has been repeatedly flooded. He is also under fire for flooding problems inVia Argentina where over 40 businesses have closed during prolonged road repairs. 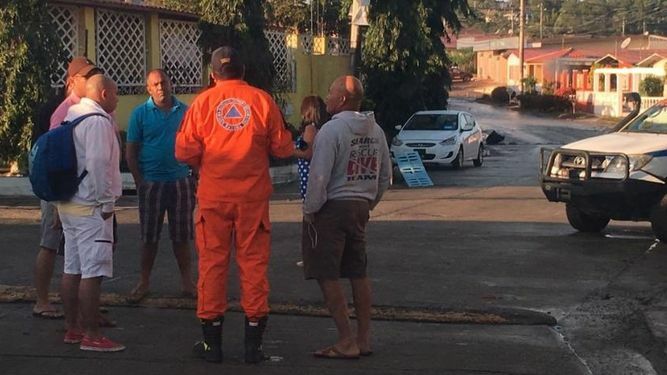 On Monday, José Donderis director general of the Civil Protection System (Sinaproc), said “We have a clogged, collapsed drainage system," and arrived along with technical and operations personnel.